Cosmetic dentistry is an essential component of what our dentists do every day. The foundation of a great smile is healthy teeth and gums. Cosmetic dentistry improves upon that foundation by perfecting your teeth and gums. To learn more and to arrange a free consultation at Aspenwood Dental Associates in Aurora, Colorado, please call 720-400-8546. These are just a few of the many cosmetic services we offer. The dentists at our practice have many years of experience providing care to people in Aurora. Because of this extensive experience, they know how to employ various cosmetic techniques to obtain the absolute best results for you. When you meet to discuss your goals, our dentists will describe all of your options and empower you to choose the approach best-suited to your goals and expectations. Enamel is the hardest tissue in the human body, but it is not impossible for it to break. Your teeth will also be weaker and more vulnerable to chipping if tooth decay is present. Cavities damage the overall structure of the tooth. Taking into account the cause of the chipped tooth, our dentists will describe your restorative options. A dental crown, tooth bonding or porcelain veneers are the most likely options. Yellowed and discolored teeth affect all of us at some point. You may first notice discoloration in a picture of yourself. Perhaps your teeth are not quite as white as you thought they were. What are your options? Our experienced cosmetic dentists offer teeth whitening and porcelain veneers to restore a gleaming smile. Red wine, coffee, soda and tea are some of the worst stainers in regard to the beverages you may drink. Foods like blueberries, blackberries, tomato-based sauces and curry sauce are common culprits as well. 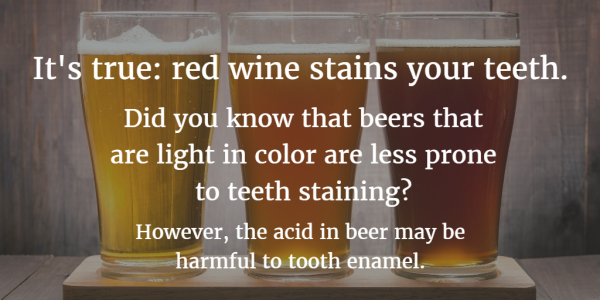 To combat the staining effects of these foods and beverages, you can swish water in your mouth after consuming them, or brush your teeth. Doing so will flush out the staining debris. Replacing missing teeth is really important. First of all, your confidence can be shaken if you are missing teeth. The gap in your smile may cause you embarrassment. So replacing a tooth is important to your self-esteem, which is important to many aspects of your emotional and mental well-being. 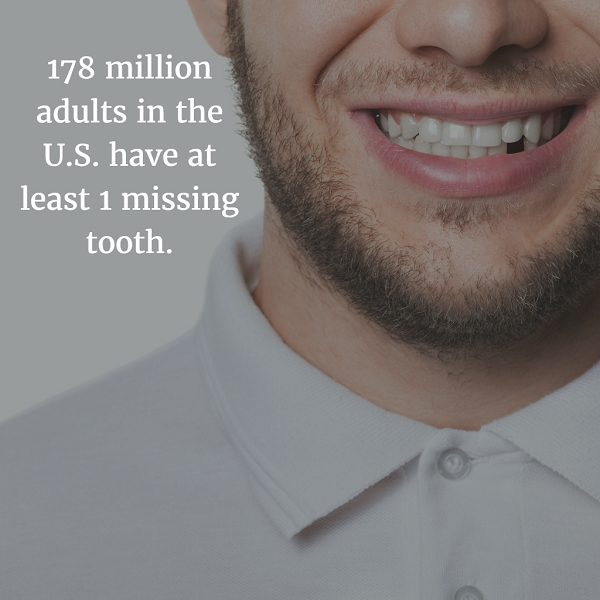 There are also functional reasons to replace missing teeth. Your remaining teeth will gradually shift and tilt toward the gap. This causes crooked teeth, which makes it difficult to chew, speak and clean your teeth. Replacing missing teeth is also essential to the health of the boney ridge beneath your teeth. This bone is stimulated by your tooth roots, and a missing tooth root causes the bone in that area to deteriorate. This is not necessarily a serious health issue, but it can cause your jaw to take on a collapsed or shrunken appearance. Rely on our dentists to let you know for which teeth replacements you are a good candidate. 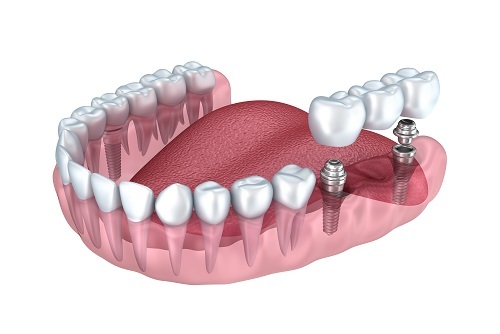 Dental implants are the longest-lasting solution for the replacement of missing teeth that we have in modern dentistry. They not only replace missing teeth, but also keep the jawbone from shrinking by replacing the missing roots. After examining your teeth and reviewing your health history, our cosmetic dentists can determine whether dental implants will work for you, and if dentures or a dental bridge are also options. Wear leaves your teeth more vulnerable to tooth decay. Your enamel is a natural blockage against decay, so when it becomes worn, your teeth are more vulnerable. Worn teeth also lead to bite misalignment, which can cause pain in the jaw joints and can further exacerbate the problem of tooth wear. The cosmetic dentists at Aspenwood Dental can recommend treatment options once they establish the cause of the tooth wear. Tooth crowns, dental fillings and inlays/onlays may all be options. The dentists will also want to stop the cause of the wear if possible, which may mean suggesting a custom-fitted mouth guard to protect your teeth from grinding or orthodontic treatments to align the bite. Most people are not born with straight teeth. Options like Invisalign® and braces offer an effective, time-tested means of straightening your teeth and aligning your bite. But if our cosmetic dentists determine your teeth crookedness is not significant, they may recommend porcelain veneers. For mild crookedness or misshapen teeth, porcelain veneers are the perfect way to conceal the tooth flaw and create a new, gorgeous smile. If you live in Aurora or Denver and want to find out how our experienced cosmetic dentists can help you reach your dental goals, please call Aspenwood Dental Associates and Colorado Dental Implant Center, at 720-400-8546, to arrange a free consultation. As you can see, cosmetic problems are never really only cosmetic. These issues also have implications for the function and comfort of your teeth and bite. Our dentists want you to be exceptionally happy with your teeth and smile, and we will make sure you know all of your options for getting there.